Whether you are a home computer user or a Business user, keeping your PC safe from hackers is a top priority, to make sure you don’t loase any of your precious data, and to make sure someone else isn’t using your precious data for their own purposes! This site is dedicated to providing information and resources to keep your computer safe. Here are some articles about ways that you can keep your computer safe, and also on this page are links to some products that we think will help you in your quest to keep the hackers at bay! If you are not sure how to apply the techniques described, please complete the Enquiry form and we’ll come and help you out! Have you checked the Health of your PC lately? When you have been using your computer for a long time, a lot of ‘computer debris’ gets deposited in your computer’s disk. Some of this is useful, some of it slows your computer performance, and some of this debris is downright dangerous, such as Spyware and Adware! Also, if you haven’t set up your security options properly, your system could be open to hackers to steal your personal information! Whether you use a desktop PC, Laptop or a mobile device, they can all suffer from these problems, so it is important that you keep your device in peak health and secure against hackers. Community IT Services will do a free Health check for your computer to identify performance issues, and check for Spyware, Adware and other computer debris that is non-productive, to ensure your computer is secure against hackers and bring your computer back to the peak of health. If you are not in our area (UK West Midlands), or you are confident that you can do the checks yourself, click the button for more information on how you can keep your PC safe from hackers! 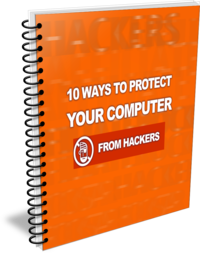 Would you like a simple checklist to help you keep your computer safe from hackers? Complete the form here with your name and email and we’ll send it to you straight away!